Photo Spoilers: Dangerous Deceit and Emotional Confessions! 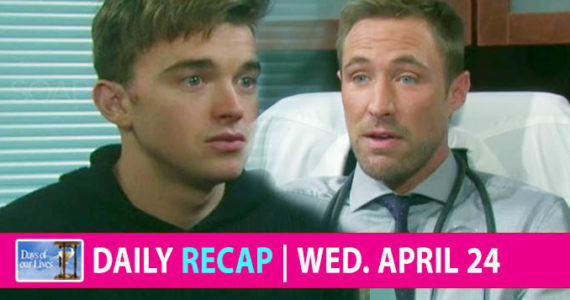 Days of our Lives Spoilers (Photos): Dangerous Deceit and Emotional Confessions! Days of our Lives spoilers (DOOL) for Thursday, August 24 reveal Lucas and Bonnie make love, but will he realize it’s not Adrienne? Elsewhere, Jennifer and Abby share a tender moment. These are two of several thrilling storylines featured tomorrow. See what else happens on DOOL with the photo spoilers.